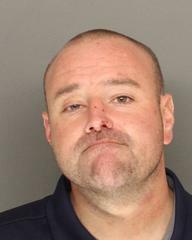 At approximately 7:18 p.m. on February 17, 2019, a deputy assigned to the Santa Maria Sheriff’s Station attempted to stop a vehicle in the area of S. Bradley Rd and Larch Ave.. The vehicle was eventually stopped on Shady Glen Dr. and the two occupants contacted. 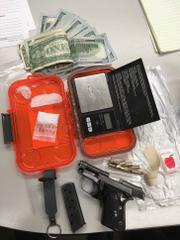 A search of the vehicle resulted in the seizure of a loaded pistol with its serial number removed, approximately ½ ounce of methamphetamine, sales paraphernalia and other drug paraphernalia. The driver, identified as 29-year-old Kevin Scott Ussery of Santa Maria was arrested for Evading a Peace Officer, Possession of Methamphetamine, and Possession of Drug Paraphernalia. 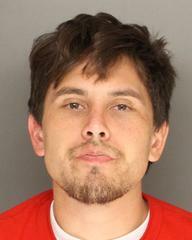 Ussery was also booked on warrants for Identity Theft and Grand Theft. He is being held on $70,000 bail. The passenger, identified as 25-year-old Samuel James Albrecht of Santa Maria was arrested for Possession of Ammunition by a Prohibited Person, Carrying a Loaded Firearm, Possession of a Firearm with an Obliterated Serial Number, Carrying a Concealed Firearm, Felon in Possession of Firearm, Possession of Methamphetamine with Intent to Sell, Transportation of Methamphetamine, and Possession of a Controlled Substance. Additional Drug Paraphernalia was found during a cavity search at the Santa Barbara County Jail. Albrecht posted $50,000 bail and was released today from custody. The Santa Barbara Sheriff’s Office prides itself on maintaining contact with our communities. Our neighbors can reach us at the Sheriff’s Santa Maria Station at 805-934-6150 or our non-emergency line at 805-683-2724. For Anonymous Tips, please call 805-681-4171 or go to our website at: https://www.sbsheriff.org/home/anonymous-tip/.